Now you can read Muy Blog (or at least, some of it) in olde-fashioned printed form. It’s on Amazon. My thanks to all of those whose words and pictures have helped to make this book. 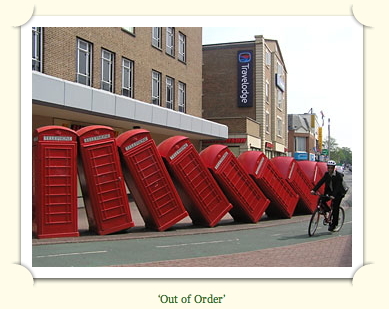 Stephen Herbert is a Visiting Research Fellow at the Faculty of Art, Design & Architecture, Kingston University, London. 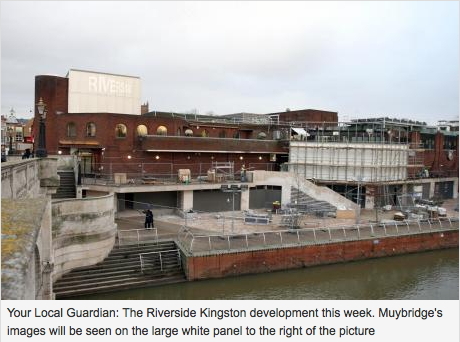 Kingston is Muybridge’s home town. 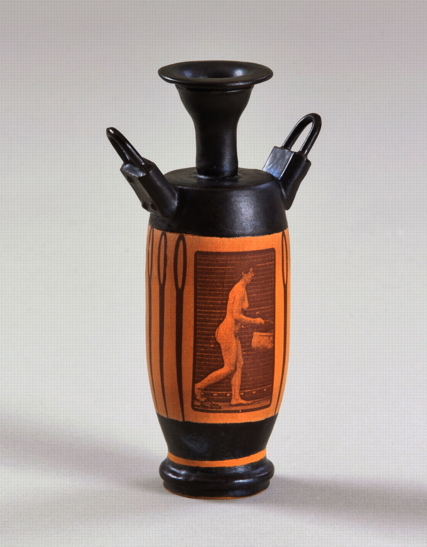 A Muybridge specialist for more than 25 years, he has lectured widely on the history of optical media and his contributions have appeared in academic journals, encyclopedias, magazines, books, films, tv , radio, and on the web. 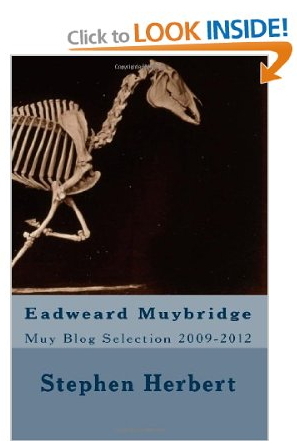 His web site The Compleat Eadweard Muybridge, together with Muy Blog on WordPress, cover the world of Muybridge in all its forms – historical research, modern artworks, digital re-imagining, and much more. Zoetropes and other ‘scopes and ‘tropes are celebrated at The Wheel of Life [stephenherbert.co.uk/wheelHOME.htm] The wider world of 19th-century motion pictures is the subject of Who’s Who of Victorian Cinema [victorian-cinema.net]. The Projection Box, established in 1994, publishes and sells monographs about pre-cinema, the magic lantern, early and silent film, and optical entertainments. The New Stage of the National Theatre in Prague is small, but once the show begins, surprisingly capable of providing it’s guests with a truly entertaining evening. The seats are a bit worn, but comfortable, and the building itself inspires architectural awe with its winding staircases, and glass walled multi leveled cafes. I am here tonight to see Human Locomotion, the latest multimedia production of Laterna Magika at the Narodni Divadlo. This iconic National Theatre house is near the city center, sits on the edge of the Vltava river and is a must for the lovers of the arts who visit this culturally rich city. Led by directors Martin Kukucka and Lukas Trisovsky (SKUTR), the show brings more to the table than let on from the promotional flyers and website descriptions. The set, the lights, the music, the dancing and the acting were all well worth the four curtain calls worth of applause the cast received at shows end. A beautiful, and humorous rendition of “You Are My Sunshine,” begins the melodic journey from Petr Kaleb that transports the audience, smoothly, through the use of an elaborate set and projection by Jakub Kopecký, with help on costumes from Jana Morávková. The storyline is well written, performed in a mix of Czech and English, but always with English subtitles projected. 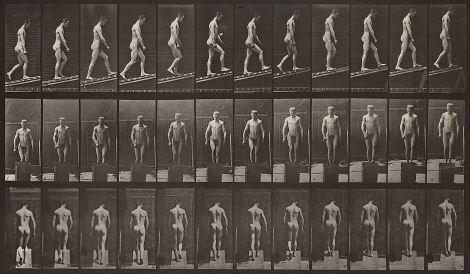 The show tells the story of Eadweard Muybridge (Marek Daniel), the British inventor who had a critical impact on the world of photography and beyond. 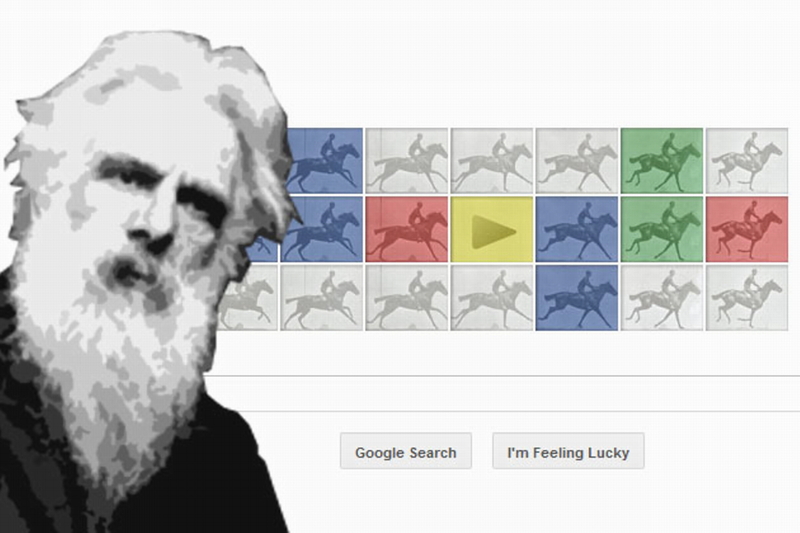 His most famous work captures a horse running using multiple cameras, and represented the invention of Chronophotography. This troubled man, and genius, dedicated his life with obsession to his invention, but not at little cost. As he is tormented through his genius, he consequently destroyed his personal life and marriage to his beautiful wife Flora (Zuzana Stavna). She was pushed away into an affair with Major Harry Larkyns (Jakub Gottwald), a dashing, purple tuxedo-wearing troublemaker slash magician. Eadweard eventually shoots the Major, and is tried for murder, but is let off on grounds of justifiable homicide and allowed to complete his work. What appears at first view to be a static backdrop is transformed into a multi-story, multi-level deep set, complete with animations skillfully painted across the stage using multiple HDX projectors. The entire set is designed to be inside of a camera, so to speak, I presume so that the audience is always peering into the life and view of Eadweard. Flora and Major Henry share an amazingly well done love scene, from inside a box, again meant to be a camera, while the audience is shown the actors passion through magical projection onto a dancer positioned on a five sided screen. The bending, waving light, along with the perfectly selected soundtrack, and Eadweards’ character slumped at the far other end of the stage, made this the most powerful scene for me. An elevated, slow motion fight scene, was also extremely well done. Many examples of choreographer Jan Kodets’ masterful ability to tell a story with her dancers combined itself well with the score, which was full of emotion, and the perfect amount of space to allow the actors to intersect and participate. All in all, the production of this show was a real treat, and a great Saturday evening out in Prague. If you are a lover of modern dance and multimedia theater you should add this show to your list to try and catch. It will show again in Prague in March and April, and if the rest of the world is lucky, it will go on tour.